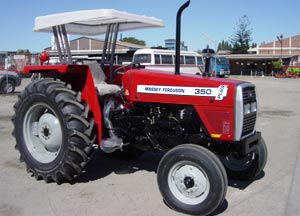 Massey Ferguson has led the world in design and manufacture of tractors for more then 50 years. A huge range of all MF Tractors are in use all over the globe with comprehensive model range which is assisting farmers everywhere to achieve even better efficiencies. 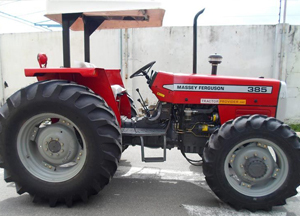 These Massey Ferguson tractors offer excellent fuel coverage and the greater models incorporate a host of cost-saving technologies and features designed. 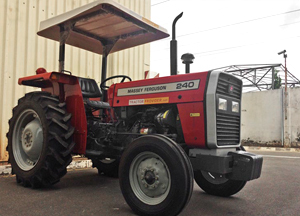 The model range of available MF tractors goes from 50 HP to a massive 105 HP. Efficient, reliable engines, combined with long service intervals and high resale values add up to low cost of ownership. 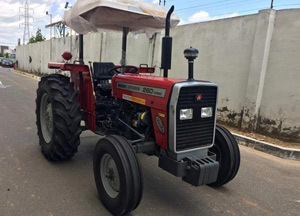 You could be driving the cleanest, most fuel efficient tractor in the world. 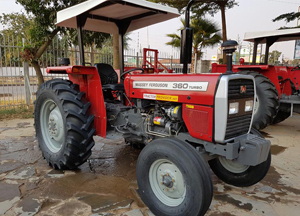 Agro Africa, Tanzania based agricultural tractors and implements dealer and supplier, carry huge stock of Massey Ferguson tractors to supply not only in Tanzania but in neighboring countries like Mozambique, Kenya, Zambia, Uganda, Burundi, Republic of Congo etc. 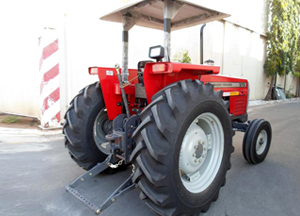 We also offer tractors on wholesale price to tractors dealers and bulk buyers in these countries. 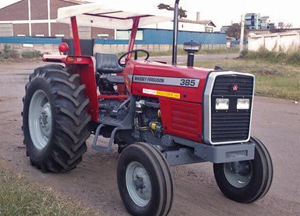 Tractor dealers are welcome to contact us for special price.